The macula is filled with cones, the nerve cells that are responsible for sensing light. When the macula begins to fill with fluid, the ability of those cells to sense light is impaired, causing blurred vision that can be severe. Diabetic macular oedema affects up to 30% of people who have had diabetes for 20 years or more, and if untreated, 20 to 30% of people who have it will experience moderate visual loss. What Causes Diabetic Macular Oedema? 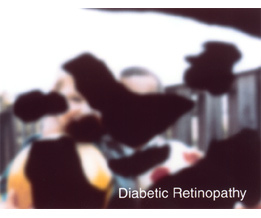 Diabetic macular Oedema is a result of another complication of diabetes, called diabetic retinopathy, in which blood vessels in the eye are damaged, allowing fluid to escape. Focal DME is caused by tiny abnormalities in blood vessels, known as microaneurysms. Diffuse DME is caused by widening of retinal capillaries, the thin blood vessels that are located in the back of the eye. Laser treatment for focal DME: Uses a laser light to close leaking blood vessels, preventing more fluid from entering the macula. Three months after treatment, the patient should be rechecked to make sure the DME is responding to therapy. Laser treatment for diffuse DME: Uses grid laser treatment to narrow dilated blood vessels. As with focal DME treatment, the patient should be rechecked three months after surgery to make sure that the DME is responding to therapy.